Not sure what to buy a budding palaeontologist for Christmas, well, Everything Dinosaur recommends “Dinosaurs of the British Isles” by Dean Lomax and Nobumichi Tamura (Siri Scientific Press). This book provides a comprehensive guide to the dinosaur discoveries that have been made in the United Kingdom and it takes the reader from the Triassic through to the Late Cretaceous, cataloguing all the various dinosaurs in geochronological order. Dean and Nobumichi have painstakingly compiled a comprehensive review of all the major dinosaur fossil finds and this book is aimed at the general reader as well as at fossil collectors and dinosaur fans. Southern England and the Isle of Wight may be globally significant locations when it comes to Early Cretaceous dinosaurs, but readers may be surprised to find that the sandstones in Morayshire (Scotland) have provided tantalising clues to life on the super-continent Pangaea during the Triassic and the oldest dinosaur tracks can be spotted at Barry in the Vale of Glamorgan (south Wales). The authors are to be commended, as they provide a fascinating introduction to the Dinosauria, their classification and the emergence of palaeontology as a science. This all follows a well-written foreword by Dr. Paul Barrett, a highly respected academic and vertebrate palaeontologist at the Natural History Museum (London). 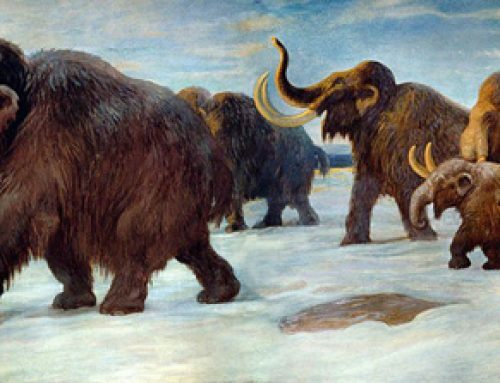 With the Dinosauria well and truly introduced, it is time to meet some of the amazing prehistoric creatures that once roamed the British Isles. For example, at least three types of tyrannosaurid may once have roamed across this part of the world. There’s the Proceratosaurus (P. bradleyi) whose fossilised remains, come from Gloucestershire, the fearsome, five-metre long Juratyrant, a terror of the Late Jurassic whose fossilised remains have been discovered near Swanage (Dorset) and Eotyrannus (E. lengi), represented by a partial skeleton found on the Isle of Wight. It is not just the meat-eaters that palaeontologist Dean Lomax has documented in collaboration with California based, palaeoartist Nobumichi Tamura. The United Kingdom boasts some very impressive (and gigantic) herbivorous dinosaurs too. This book also provides a comprehensive account of the huge Sauropods that once stomped across the British Isles, many of which rivalled the long-necked dinosaurs of North America in terms of size. A belly up view of “Whale Lizard”. The full colour photographs are very informative and support the text extremely effectively. This is a rare example of a book that will appeal to serious academics as well as to the general reader. “Dinosaurs of the British Isles” provides a fascinating introduction to the Dinosauria, before moving on to describe every dinosaur species represented by the known fossil record from this part of the world in great detail. 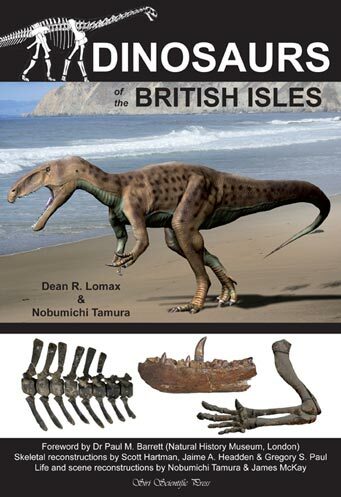 “Dinosaurs of the British Isles” by Dean Lomax and Nobumichi Tamura is available from Siri Scientific Press (Siri Scientific Press), length 414 pages, ISBN: 978-0-9574530-5-0.